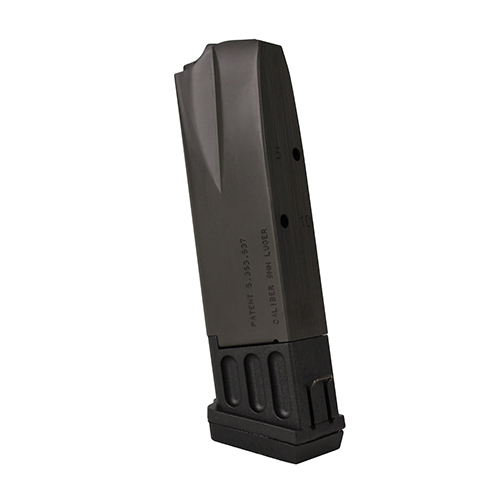 This magazine is compatible with the Browning Hi Power in 9mm Luger. It has a 10round capacity. This model is made fo metal with a black finish and a Pachmayr basepad.